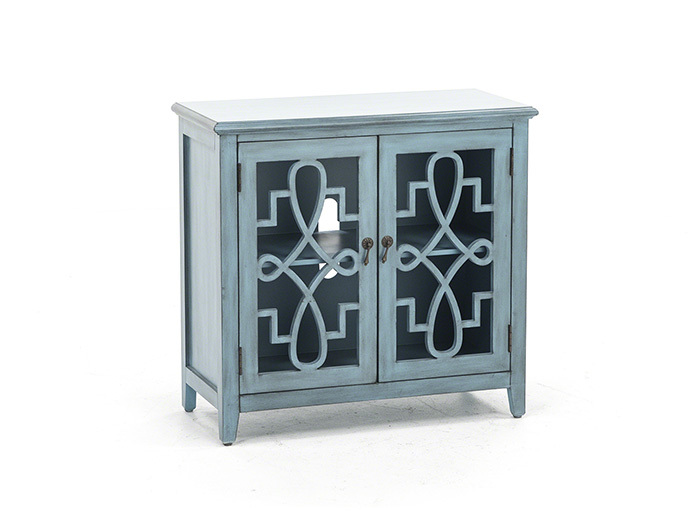 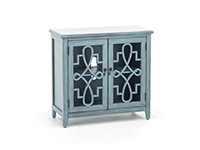 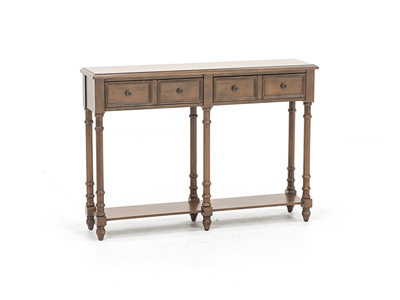 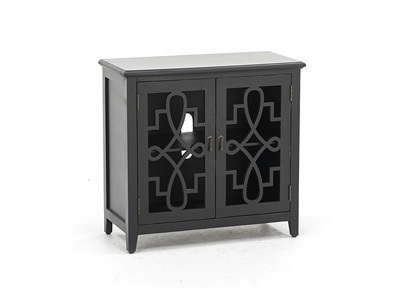 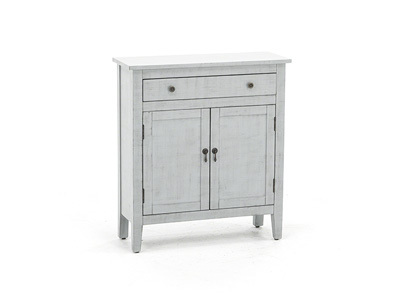 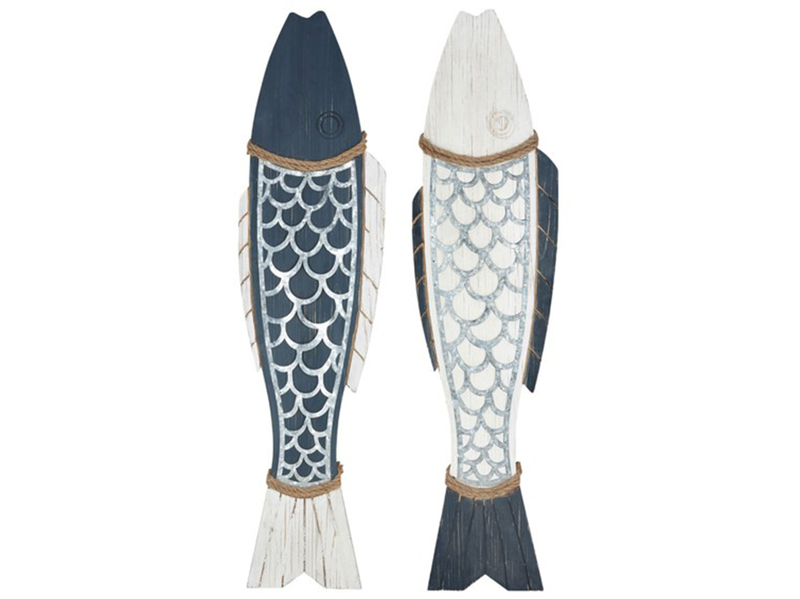 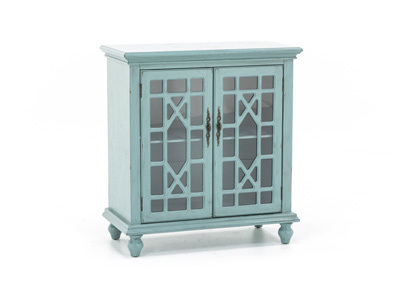 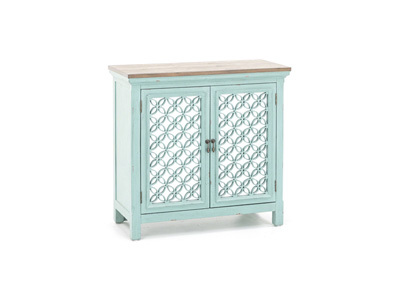 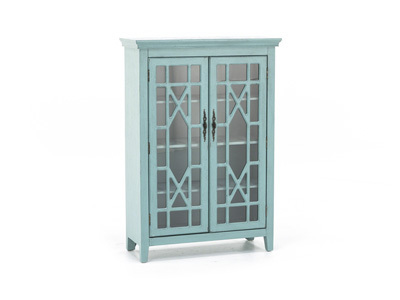 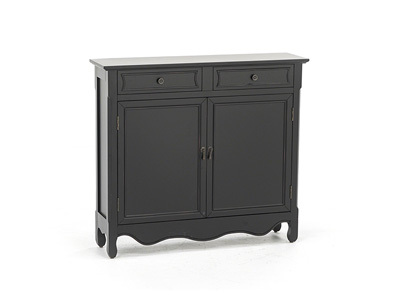 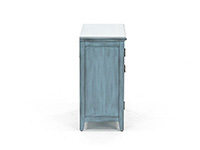 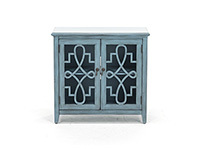 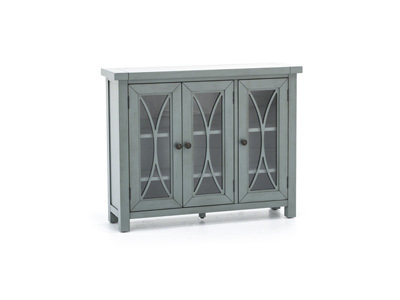 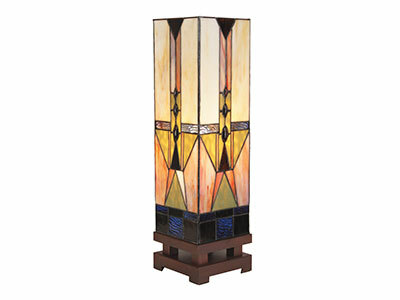 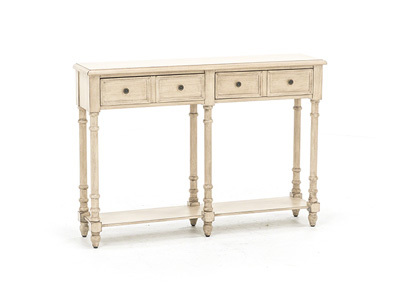 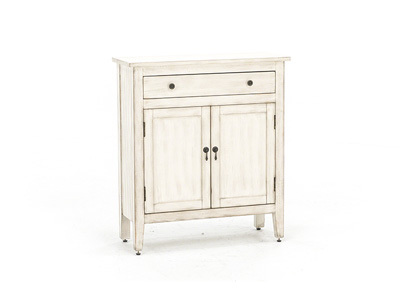 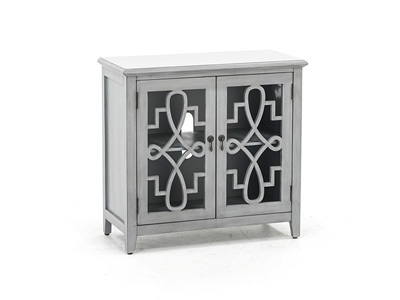 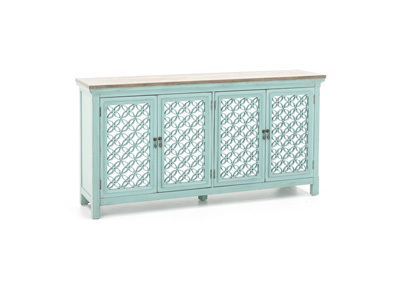 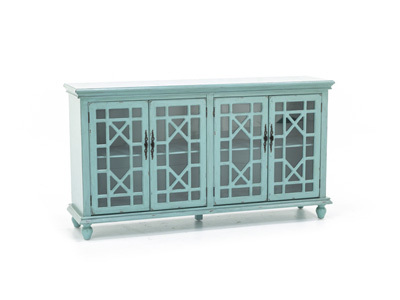 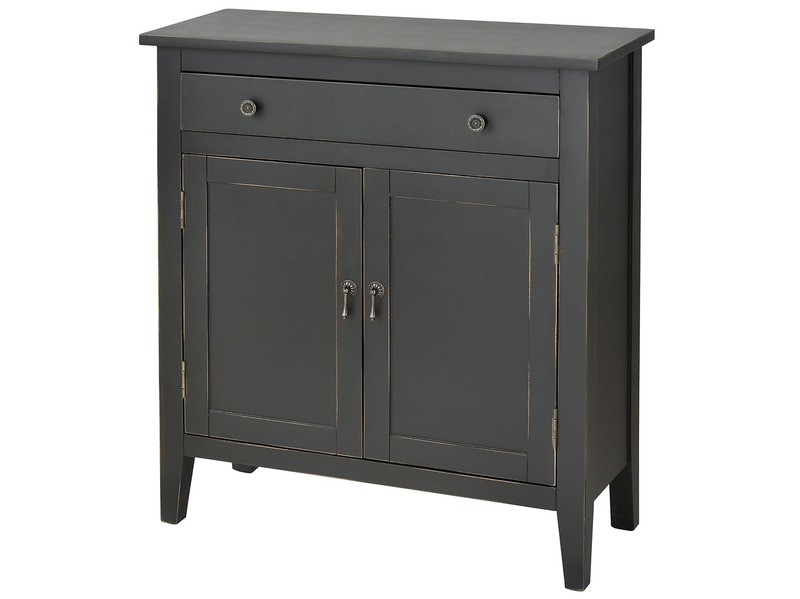 Cabinet features two doors with open filigree design. 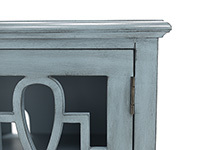 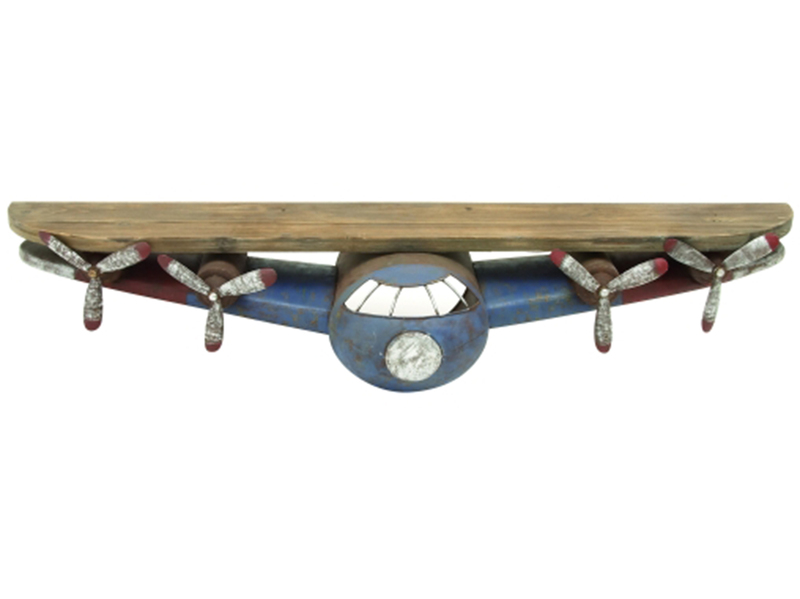 In a blue finish. 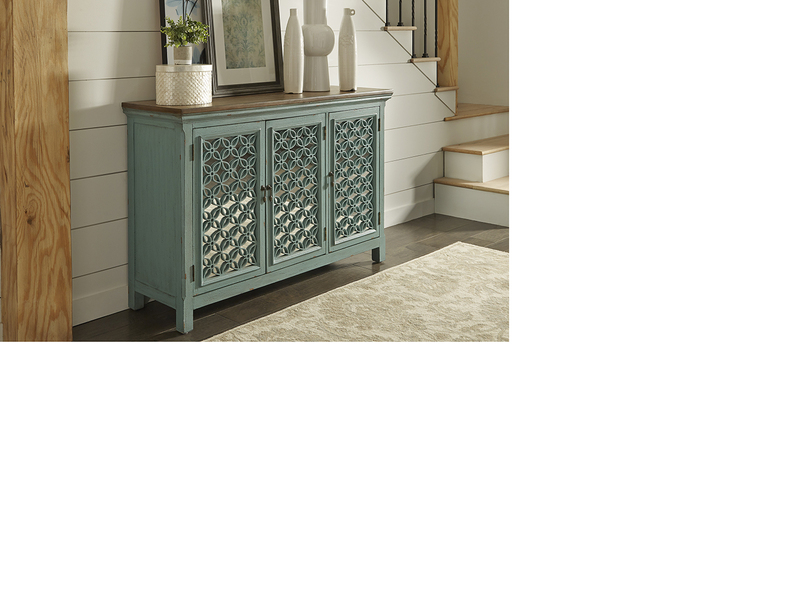 Storage ottoman for your throws, remotes, gaming needs, etc.